I know it's a little late to be talking about Christmas, (or early, it depends how you look at it!) 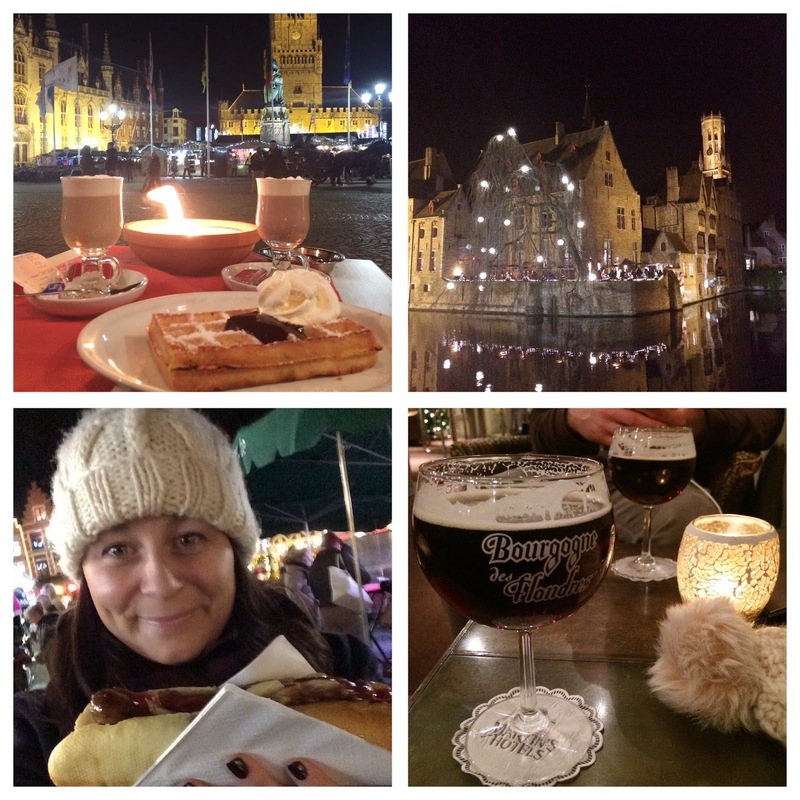 but I really wanted to share a little bit from our trip to Bruges incase you have been thinking about going & to inspire you to start planning for next Christmas ! From the moment we arrived in the square at night (we got a taxi from the station which took about 5 minutes) I was in love with Bruges. It was dark so the square had such a magical christmassy feel to it and we were so happy to discover just how close our hotel was to the square. 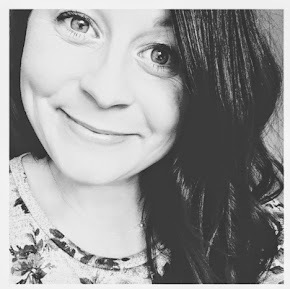 We stayed at Martins Bruges and we really happy with it. The rooms were basic but modern and the bar area was lovely. The breakfast was a delicious buffet (I love a hotel buffet) and the range was amazing ! I had a bit of everything ! As soon as we dropped our bags off we ventured out in to the square. We couldn't believe the location, it was so good ! It turned out to be perfect for us as when we had bought too much shopping / got really cold - we could quickly nip back easily. We had a hot dog from one of the street vendors and it was delicious ! We then chose a restaurant that we could sit outside because they had these lovely little fires on the tables and I ordered a waffle with cream and chocolate sauce & a baileys hot chocolate (not cheap) and Si had a baileys coffee. It was the perfect start to our little break and I think my favourite moment of the whole trip - just look at that view (1st image). We then walked down the road to find the iconic view in Bruges (2nd image) and it was even more beautiful in real life. Then back to the hotel bar and we had our first Belgium beer - I am not really a big beer drinker - but it had to be done and I actually really enjoyed it. The next day we ventured out to the Old Chocolate House cafe - a lovely friend on Instagram had told me about it and it didn't disappoint. Just LOOK at that hot chocolate. The cup was the size of my head and I just loved that you got to add your own chocolate and whisk it in. You got to choose between milk, white or dark chocolate. Amazing. Walking around was just so christmassy, I absolutely loved it. We then climbed the Belfry and you can see the view from the top (4th image below) was well worth the hundreds of steps and having to stop to keep letting people past on the way down. It was pretty steep and on the way back down I had to get Si to carry my bag as I thought I was going to go flying down the stairs - I was happy to reach the bottom ! We were really lucky that the boats were still running - I think they close if the weathers really bad but it was quite mild when we were there, cold but mild so that was amazing. The little boats takes you all around the city and it's a great way to see everything. 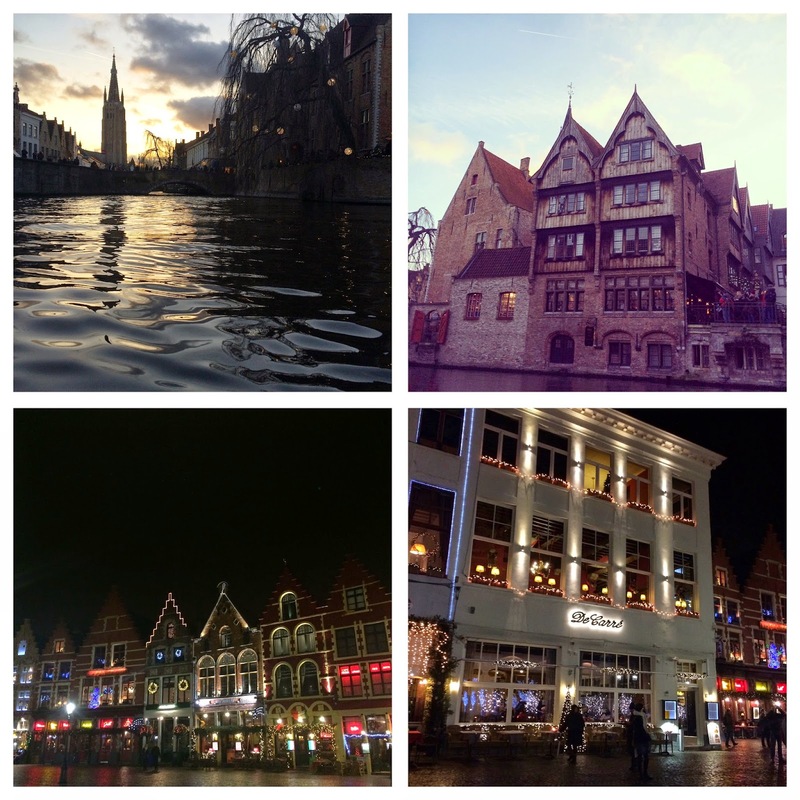 The 2nd image below is the hotel from the film 'In Bruges'. I think what I loved most about Bruges was just walking around and the christmas lights at night, I went Ice Skating, ate way too many chocolates (oh my - the chocolate shops - there are SO many), at chips with mayo, shopped til we dropped (they have Mango, H&M, Zara & C&A - who remembers C&A - ha!) - everything was just fabulous and the perfect city to visit at Christmas. I will definitely be going again ! We also went on a horse and carriage ride at night & it was just so beautiful, was about 39 euros, but worth it! 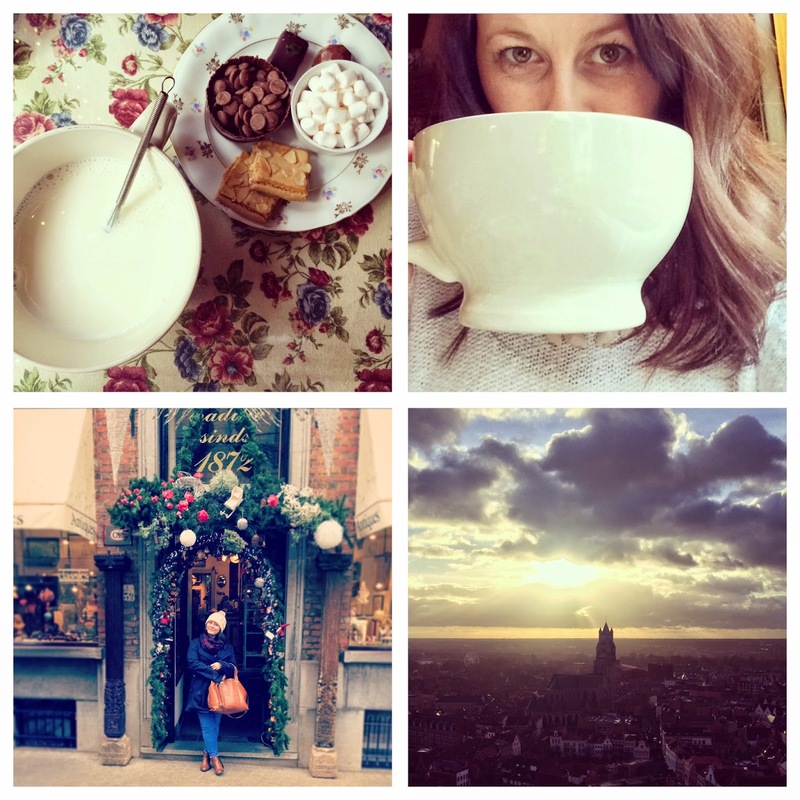 I hope you have enjoyed reading and it has helped if you have been considering Bruges for a city break ! Let me know if you like these kind of posts and I will share more places I have been !